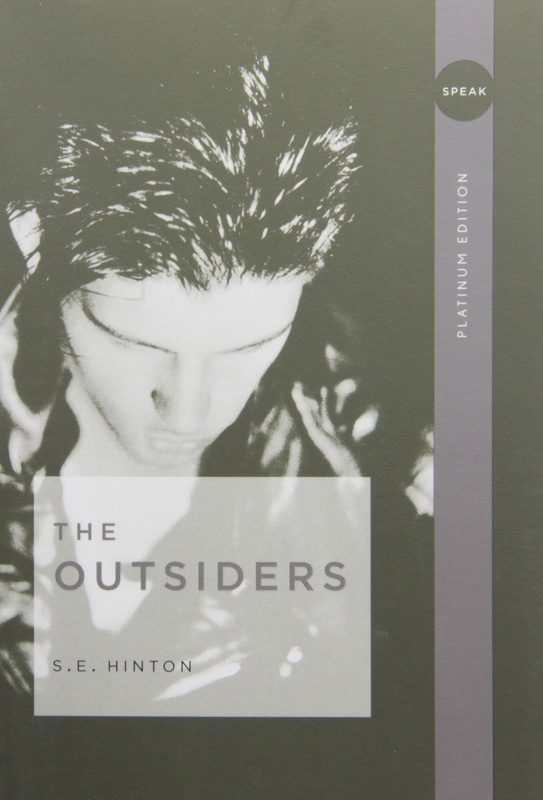 The last book I read this year in English was The Outsiders by S.E. Hinton. I enjoyed this book, and had interesting discussions about it with my friends. Our class spent lots of time working on vocabulary sheets and themed short answer questions for this book. The essay question for my final exam was "What is the main theme of The Outsiders." What I wrote below is based on my memory of the final essay and other assignments. Sometimes it is hard to remember all the good in the world, and you get caught up in the bad things. This was a constant struggle in The Outsiders by S.E. Hinton. The main lesson in this book is that people should enjoy the good things in life and stay hopeful and optimistic. At the beginning of the book everyone is depressed and full of negativity toward the world. Ponyboy is upset because of all the unfairness, with the Socs getting whatever they want and the Greasers getting jumped all the time. Cherry is upset because the Socs are so reckless, waiting for someone to lay down the law, and show them what can and can’t be done. She tries to express this to Ponyboy by saying “Things are rough all over” pg. 34. Towards the end of the book, things start to get better, but the biggest change is Ponyboy’s outlook on the world. Ponyboy starts to realize how much his family cares about him. He also realizes how the world in a broader sense than his day to day routine is full of opportunity. The book ends with Ponyboy’s realization that the negativity against the world is a very large problem, and that there should be help with dealing with this problem. He says “I could picture hundreds and hundreds of boys living on the wrong side of cities, boys with black eyes that jumped at their own shadows, hundreds of boys who maybe watched sunsets and looked at stars and ached for something better. I could see hundreds of boys going down under street lights because they were mean and tough and hated the world, and it was too late to tell them that there was still good in it and that they wouldn’t believe you even if you did. Someone should help them” pg. 179. Be optimistic and focus on the good. This is an important thing for everyone across the world, because it helps us be happier and have better lives. So maybe we should all put some time aside to watch the sunset.